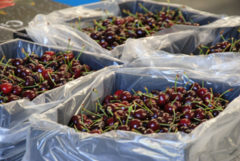 Peak Packaging carton liners are the perfect option for maintaining freshness while shipping larger quantities of produce. The technology used in the liners preserves perishable foods, helping to maintain the shelf life of the product. 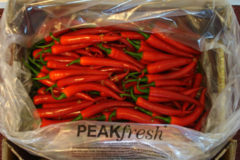 Save money and increase the shelf life of your produce by using Peak Packaging carton liners. Carton liners are manufactured under a certified Food Safety Program (HACCP).